Nuts are loaded with antioxidants, fiber, protein, vitamins, minerals, and unsaturated fats. 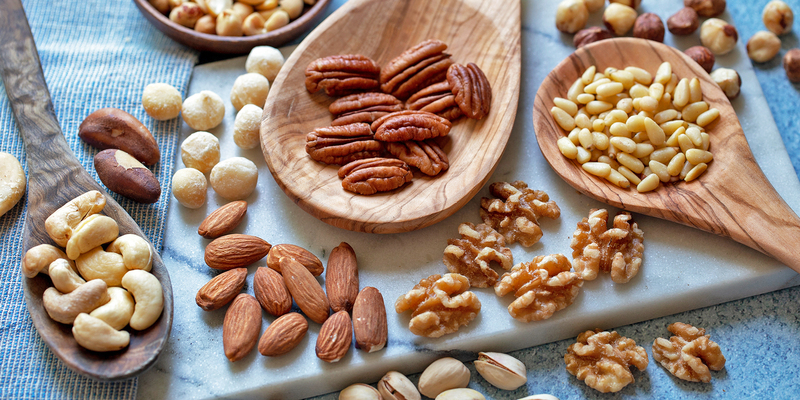 The health benefits of eating nuts include lowering cholesterol, weight control and reducing the risk of cancer. But all nuts aren’t considered equal. Here are my rankings for the healthiest to least healthy nuts. Walnuts are my top pick for the healthiest nut. They contain the most antioxidants compared to any other nut and also offer the most healthy kind of fat, omega-3 fatty acids [which prevent heart disease]. 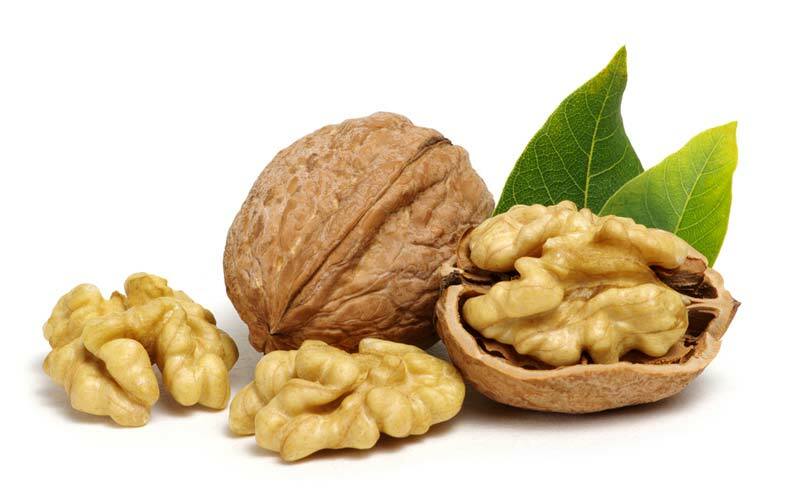 Walnuts also contain iron [which supports oxygen-carrying red blood cells], selenium [which research shows may help prevent cancer], calcium, zinc [which supports the immune system], vitamin E [which acts as an antioxidant] and some B-vitamins. Walnuts can help lower triglycerides [fat in the blood that can increase your risk of heart disease] and protect your heart. They’re also extremely healthy for the brain — in fact, walnuts even look like a brain! When I taught neurology, one day I used a picture of a walnut to teach the lobes of the brain and my students didn’t even realize it. Walnuts have also been shown to play a role in reducing colorectal cancer. According to a study published in last year, walnuts also improve the gut microbiome, the collection of trillions of microbes or bacteria in the gastrointestinal tract, which may be behind some of their health benefits. These nuts aren’t just fun to eat, they are great if you are a stress eater or like to nosh while watching TV. They give your hands something to do. Pistachios are a great source of protein, fiber, antioxidants, and heart-healthy fats. They contain more vitamin B6 than any other nut. Vitamin B6 is important for blood sugar regulation and the formation of hemoglobin, a molecule that carries oxygen in red blood cells. Pistachios are also rich in potassium, with one ounce containing more potassium than half of a large banana. According to an Italian study, potassium is of particular importance in the prevention of strokes. By eating more pistachios, you are increasing your daily potassium intake which could help to prevent some 1,155,000 strokes a year worldwide. Almonds contain more fiber than any other nut (about three grams per ounce) and are also the highest in Vitamin E. Almonds contain lots of healthy fats, protein, and magnesium. Almonds may help lower blood sugar levels, reduced blood pressure and lower cholesterol levels. 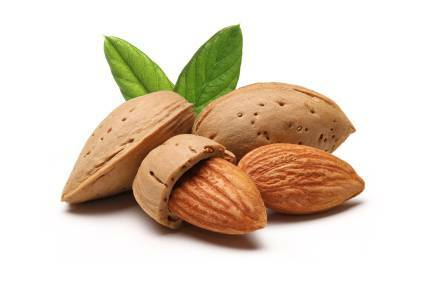 They are great if you are trying to lose weight as almonds can help to reduce hunger and promote weight loss. A more recent study, from 2017, looked into the effect of daily almond consumption over 24 weeks in people with type 2 diabetes. The researchers found that incorporating almonds into the diet helped control blood sugar levels and decrease the risk of heart disease. Pecans have many vitamins, minerals, and antioxidants. They also contain monounsaturated fats which may help improve cholesterol levels. Pecans give you more flavonoids than any of the nuts. Flavonoids are among the most anti-inflammatory of all antioxidants, helping to combat cardiovascular disease and the negative effects of aging. Pecans are high in antioxidants, which protects the body from damage due to oxidative stress which is commonly paired with a high incidence rates of cancers, heart disease and many other diseases in which cells mutate. 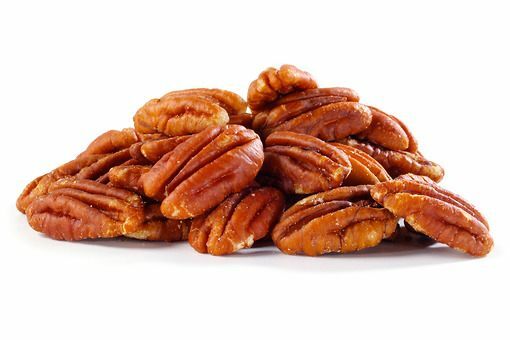 A study out of Loma Linda University in California found that eating pecans acutely increased the antioxidants in the bloodstream in the 24 hours after consumption. Another study examined the effect of nut consumption, including that of pecans, and how it related to the formation of degenerative diseases. People who ate more pecans per week had notably lower instances of some common chronic diseases. 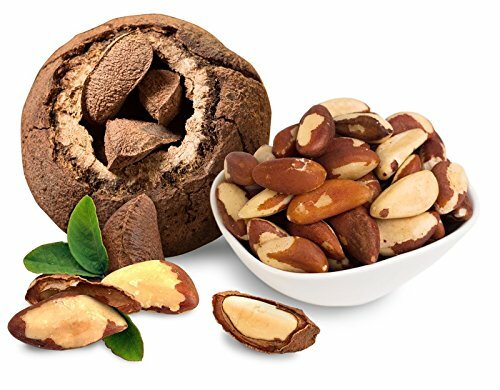 Brazil nuts are one of the richest sources of selenium, a mineral that's been shown to boost our immune system, improve our thyroid function and they may even prevent cancer. Brazil nuts are the number one food source on the planet for this mineral. 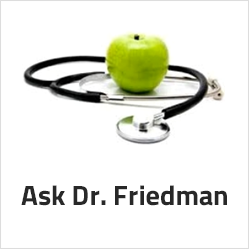 Selenium is crucial to many bodily functions from mood to inflammation. Brazil nuts are high in monounsaturated fat, which is good fat. They are also a great source of important nutrients including magnesium, zinc, calcium, vitamin E and some B vitamins. Brazil nuts widely are known for the cancer-fighting properties, due to their high ellagic acid. Ellagic acid is a compound that has the ability to inhibit blood flow and retard the growth of cancer cells. These nuts are low in calories, just 55 per ounce. So if you are watching your weight, they are a good option. They have the least amount of protein compared to the other nuts; however, what they lack in protein, they make up in manganese. This mineral is required for the normal functioning of the brain, nervous system and many of the body’s enzyme systems. Manganese may also play a positive role in bone health by working in concert with other vitamins and minerals to improve bone mineral density. Chestnuts help promote better digestion. A study published in the journal Food Microbiology found that chestnut extract had a protective effect on the strain of probiotics found in your gastrointestinal tract. Probiotics are a type of beneficial bacteria that keep your gut healthy and help improve digestion. 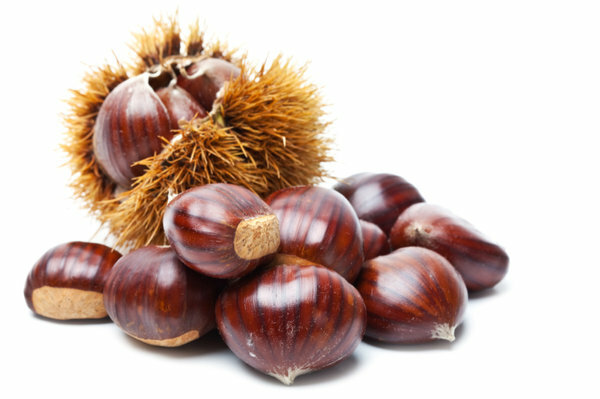 Additionally, chestnuts are high in fiber which aids in the movement of foods through your digestive tract. Fiber can also alleviate constipation, promote satiety, and stabilize blood sugar. Cashews have a lower fat content than most other nuts — approximately 82 percent of their fat is unsaturated fat, the majority being heart-healthy monounsaturated fats, similar to those found in olive oil. A study published earlier this year in the Journal of Nutrition shows cashews may help to reduce blood pressure and raise ‘good’ cholesterol levels. 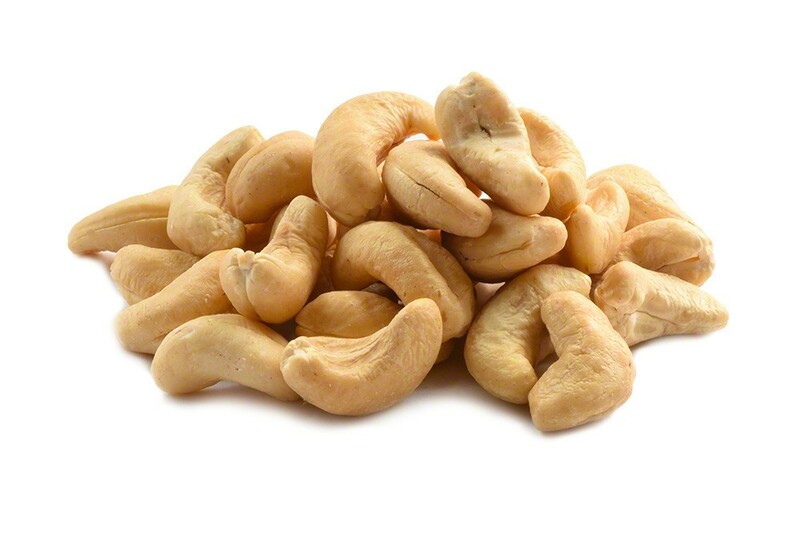 Cashews contain 160 calories per ounce and are slightly lower in protein than peanuts. Cashews are very high in iron, which helps keep your blood oxygenated. They also offer a great amount of zinc. Macadamia nuts used to have a bad reputation because they are considered high in fat. 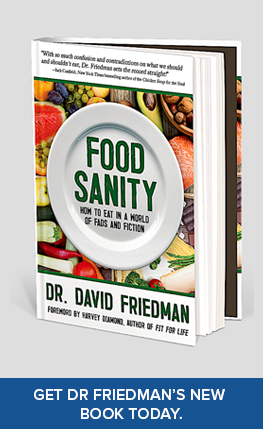 However, 80% of this fat is monounsaturated (the good for you, heart-healthy kind of fat). Monounsaturated fat can help curb your appetite, lower cholesterol and decreases your risk of heart disease and stroke. Macadamia nuts contain more monounsaturated fat per serving than any other nut. 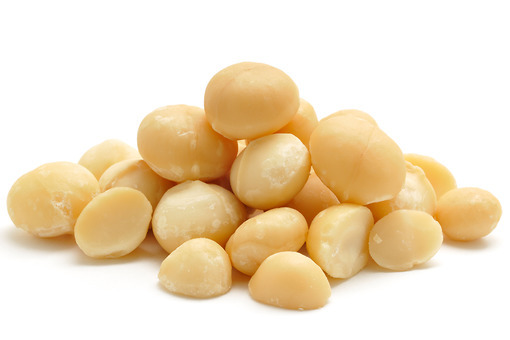 Macadamia nuts are good sources of calcium, magnesium, and potassium – the three minerals that help prevent bone loss. They are also a rich source of Vitamin A, iron, protein, thiamin, riboflavin, niacin, and folate. In addition, macadamia nuts contain complex carbohydrates like lignans, hemicellulose, amylopectins, mucilage, gums and insoluble cellulose that assist with digestive problems while reducing those nagging hunger pangs. There’s even evidence that macadamia nuts may have positive effects on preventing metabolic syndrome. Hazelnuts contain a high amount of phenolic compounds, which are heart-healthy antioxidants that have cancer-protecting properties. Hazelnuts are rich in unsaturated fats (mostly oleic acid), in magnesium, calcium, the B vitamins, and vitamin E. Hazelnuts are good for muscles and joints. They also aid in healthy digestion. Studies conducted by the American Society for Nutrition and published in the European Journal of Nutrition showed that diets high in hazelnuts resulted in lowered LDL (The Bad) cholesterol, reduced inflammation and improved blood lipids. The American Heart Association also recommends that, for optimum heart health, the majority of the daily fats that individuals should consume should be monounsaturated fats, which are the same found in hazelnuts. Peanuts are often included in the “nut” category but they actually belong to the legume family, which also includes beans, peas, and lentils. Peanuts grow underground which leaves them more susceptible to the growth of mold. 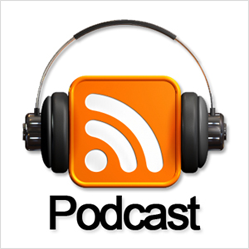 “Since mold is an issue with peanuts, non-organic farmers often use pesticides and fungicides on peanut crops, which is why peanuts and products derived from them may contain high levels of pesticide residues. 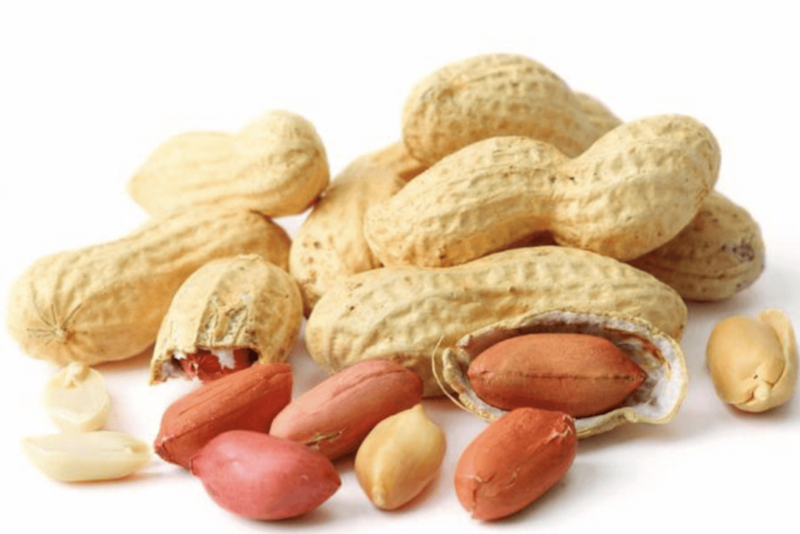 Peanuts are also one of the most common food allergies for humans. Many people with peanut allergies can experience life-threatening anaphylaxis.